What was retirement like before Social Security? I decided to do some research. Here’s what I found out. For nearly 250 years – in colonial times, on the frontier, and until the late 1890s, families made their living. They were self-reliant. Then, a period of rapid growth came to America. The country became industrialized. This significant development ushered in a new era. Attitudes about how to earn a living expanded beyond the farm. By 1920, the census showed that more people lived in towns and cities than did in rural farm communities. This is quite notable because this is when people started buying their living. They lost their independence and relied on others for their support and security. The security was in the form of a paycheck. There is a fundamental difference between making your living and buying your living. Each method effects what retirement was like before Social Security. How people measured security in the early days of our nation. People measured security by what they could provide for themselves, exclusive of money. They were not dependent on outside authority for their livelihood or subsistence. Families lived off of the land on farms or homesteads. They were self-sufficient-rugged-individuals that truly lived off-the-grid, long before the lifestyle became popular in the 20th century. Each and every one of them was responsible for producing most of what they required and desired. They made their living. They built their own homes, hunted for wild game, grew their own crops, made their own clothing, and taught their children. Very little was acquired by paying for it with money. Of course, on occasion, they afforded themselves a few luxuries such as porringers, spices, tea, coffee, or fine furniture. Several generations lived under one roof and all family members contributed to the sustainability of the family. When children grew up, they took over certain responsibilities from the older folks. Yet, all remained accountable for a share of the work. No one actually retired. The matriarchs and patriarchs of the family remained useful by helping with various household chores. 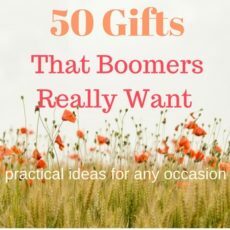 For example, Grandma and Grandpa might trap small game for the table, do the mending and sewing, make soap or candles, cook, or provide assistance with other necessary tasks. Clearly, it was hard work but all had a roof over their heads and food on the table. Through thick and thin, families and communities took care of one another. The (social) security of the times was in self-investment, and the cycle of parents caring for children, then children caring for parents, and so on. This generational model worked for hundreds of years until the late 1800s when America became industrialized. Although mechanization brought about many improvements to the quality of life, the resulting prosperity had huge ramifications on the nation and rural America in particular. Industrialization changed what retirement was like before Social Security. What effect did industrialization have on retirement? As the nation saw rapid industrial growth, farm life and caring for extended family and community was no longer the norm. Machines made farm work more efficient – thereby eliminating much of the work that once required physical strength. Not as many hands were needed on the farm. Younger men started migrating to cities to look for work. Indeed many former farmhands became the workers who built America’s cities and railroads. Manufacturing was at an all-time high. Everything imaginable was becoming available for sale. As a result, it became convenient to purchase goods and services instead of making it yourself. As factories produced more goods for people to buy, it became necessary to hire people to manufacture and sell those goods. People continued to flock to the cities. The nation was at full employment. It was a boom time for the cities. Literally, millions of men and women found work as salespeople, whether in the wholesale or retail sector. Others found employment as stenographers, clerks, cashiers, or telephone and telegraph operators. Many became stockbrokers, accountants, and bankers. For the first time in America, more people lived in cities, than did in rural communities. And people began buying their living. Industrialization changed the face of what retirement was like before Social Security by changing the way that people secured their lives. People no longer made their living but started buying their living. Goods and services were readily available in the 1920s. People were busy with jobs working for others and didn’t have the time or inclination to make what they needed. But they were well paid and had the money to buy what they wanted. It was convenient to purchase goods and services that families in earlier times would have made for themselves. Necessities like food, clothing, and shelter were purchased instead of being made by family and community. Livelihoods were different. Not only were people securing their necessities by buying them, multiple generations no longer lived under one roof. There was a cultural shift in what security meant. It was a stark contrast than in the early days of self-sufficiency and helping one another. In addition, people decided to invest (or gamble, depending on how you look at it) their money in the stock market instead of hiding it under the mattress. When the Great Depression hit, this reliance on others for employment, goods, and services resulted in great suffering for millions of people, and particularly the older folks. Although industrialization brought prosperity to the country, it also brought different attitudes about who was responsible for the aging population. And, it was never more apparent than in the Great Depression. Gone were the days of making one’s living. Millions were dependent on jobs for their security. When the stock market crashed and people lost their jobs and all of their money, a dark cloud of poverty enveloped the nation. The elderly, retirees, and those close to retirement who saw their savings disappear suffered greatly. If they were sick or unable to restore their savings, they became dependent on their children. Although some states had old age assistance programs, the full responsibility of elder care was left up to their children. In fact, it was required by law that they do so. However, children had their own suffering. They wanted relief from the burden of taking care of their parents. They were desperate for help. Essentially, it was the children of the elderly that were instrumental in the cries for some kind of federal intervention. The Great Depression was one of the bleakest times in history for retirees. There was no security for older people because the times had stripped them of their value. The consensus was that they had little worth. After the crash of ’29, until 1935 when the Social Security Act was signed, poverty and dependence on children best describes what retirement was like before Social Security. Summing up what retirement was like before Social Security. The fundamental difference between making a living and buying a living is simple. Making a living is independent of others. Individuals provide for themselves by producing what they require, resulting in security throughout retirement. Buying a living depends on others for support and security – it involves money. In the early years of our nation, multi-generations lived under one roof. All were expected to provide value and support to the family. Families and communities supported one another from childhood through old age. That was the security of the times. Industrialization brought opportunity and wealth, but it also eroded that security. Then during the depression, elders went from people with value to impoverished individuals dependent on their children and others for support. Do you have any stories about relatives or ancestors who lived prior to the Social Security Act? We’d love to hear them. Leave us a comment below.